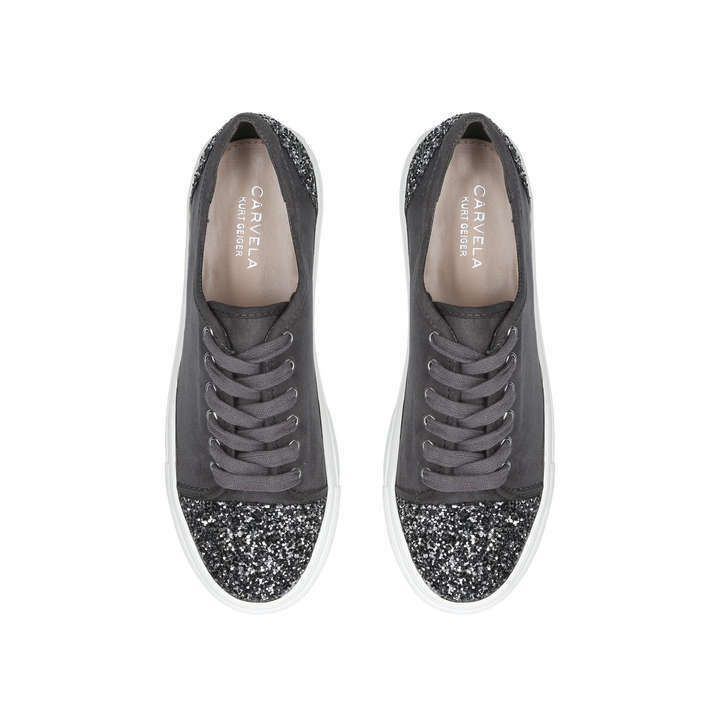 Dazzle in Mazey by Carvela, the ultimate combination of sporty and sparkly. 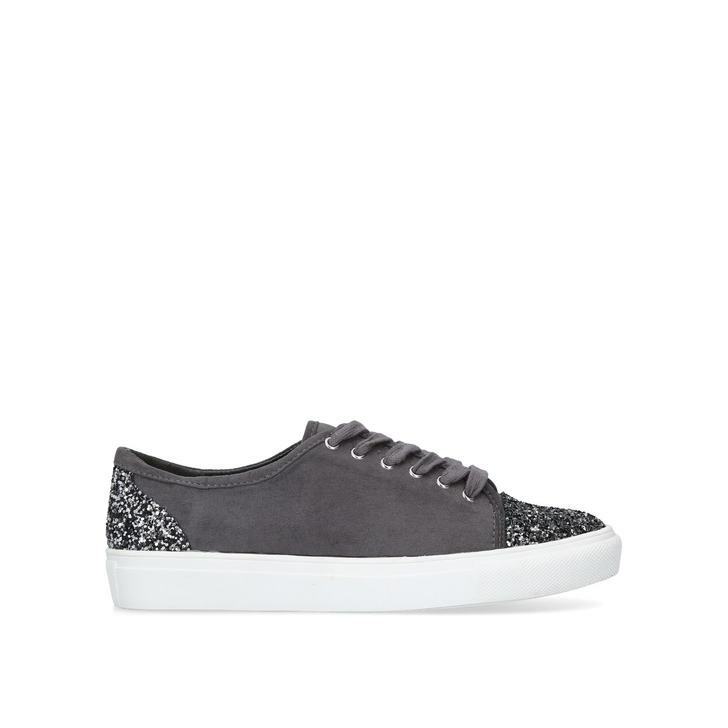 Featuring a grey lace-up design, this low-top trainer is adorned with silver glitter on the heel and toe. 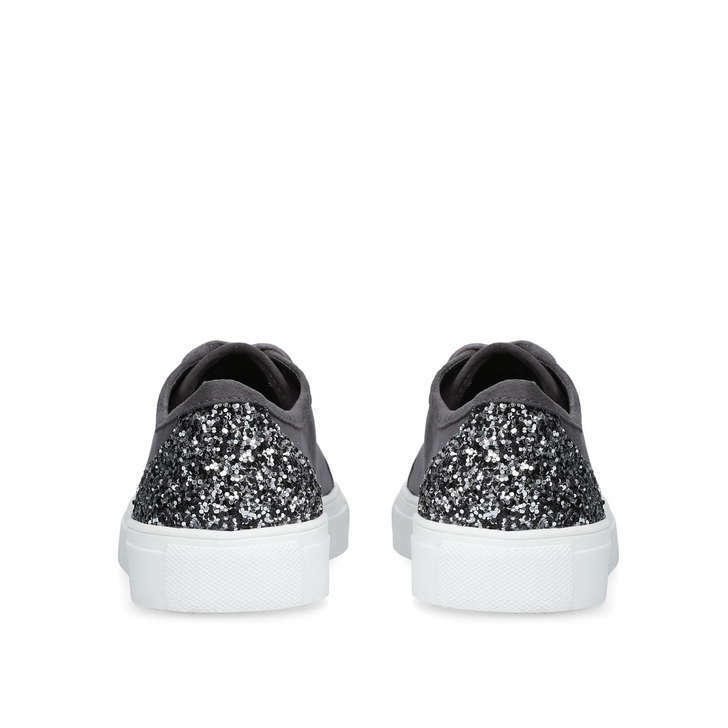 Wear it to add a glam touch to jeans and a tee.